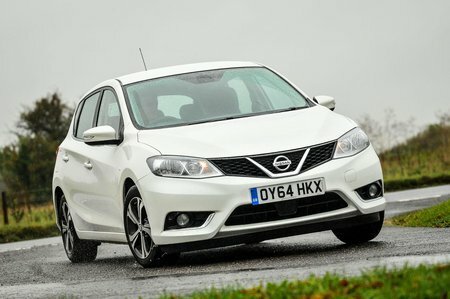 Nissan Pulsar Running Costs, MPG, Economy, Reliability, Safety | What Car? Prices are attractive, but if you’re a private buyer you need to factor in depreciation, which is predicted to be heavy. You’ll want to go for one of the lower-specification models with the 1.2-litre turbo petrol, too, to keep the purchase price down to more sensible levels. Many will find that engine more than efficient enough to keep fuel bills down, too; the diesel will make more sense only for those who do far higher annual mileages. 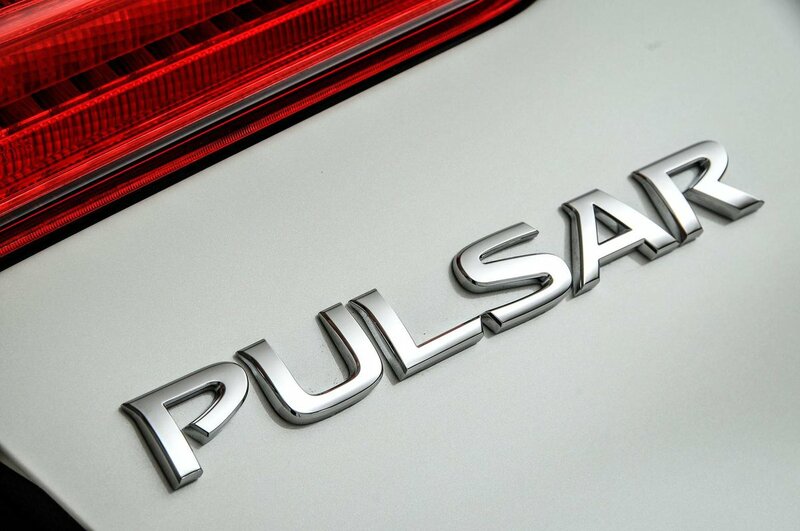 The Pulsar makes far more sense as a company car – especially the diesel version – because its CO2 emissions are competitive and leasing rates are low. Service intervals are every year or every 18,000 miles for a diesel, or every 12,500 miles for a petrol. Entry-level Visia trim is worth a look if you want to keep things as cheap as possible, because it’s surprisingly well equipped, with alloy wheels, air-con, cruise control, Bluetooth, steering wheel-mounted controls for the stereo and even a 5.0-inch colour infotainment display between the speedo and rev-counter. Mid-level Acenta trim is also a good choice; it adds dual-zone climate control, heated door mirrors, automatic lights and wipers, and keyless entry, as well as some cosmetic upgrades including larger alloys. The n-tec and Tekna models get lots of modern features, including sat-nav and extra safety kit, but they’re expensive. They’re the only ones available with DAB, however. 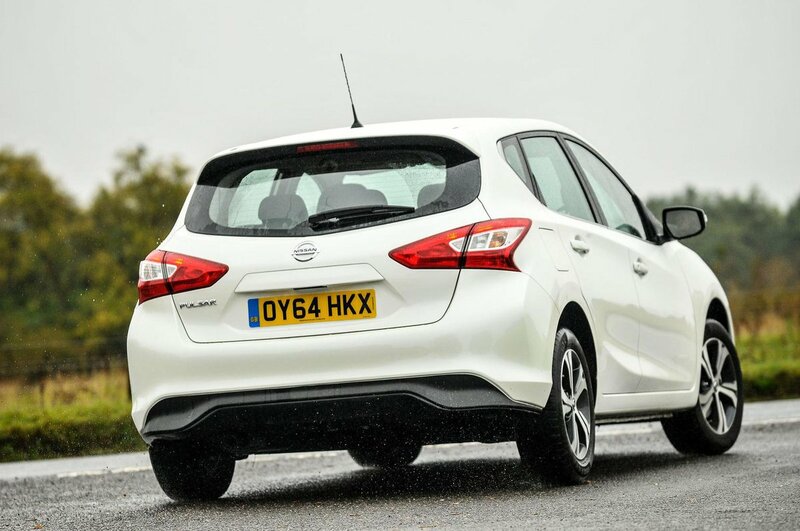 The Pulsar didn’t feature in the most recent ownership satisfaction survey, but Nissan recently placed 9th out of 37 manufacturers in our most recent reliability survey. A three-year/60,000 mile warranty is standard, as with the case for many cars in this class, but extended warranties are available. A 12-year anti-corrosion warranty is also standard. All versions come with six airbags, stability control and a tyre pressure-monitoring system, while Acenta models upwards also get Forwards Emergency Braking – a system that can automatically apply the brakes to stop you running into the vehicle in front. Go for an n-tec model and you’ll get a useful reversing camera, too, while flagship Tekna models get Nissan’s Around View camera system which makes it easy to spot hazards. Tekna versions also feature lane-departure and blindspot warning, as well as a system that warns you of moving objects, such as children, that are getting close to your car while parking. All of this helped it to score the full five-star rating from crash-test body Euro NCAP. However, security body Thatcham didn’t score the Pulsar as highly for resisting theft as many of its rivals – including the Ford Focus and Volkswagen Golf.